Wild Fire Season Is Approachingâ€¦Are You Prepared? Every year, wildfires threaten people and homes throughout the US, especially those located in or near wilderness areas. The tips below can help you assess your risk and identify ways to protect your home and family from a wildfire. In 2013 there were over 67,000 wild fires causing damage to over 9,000,000 acres. 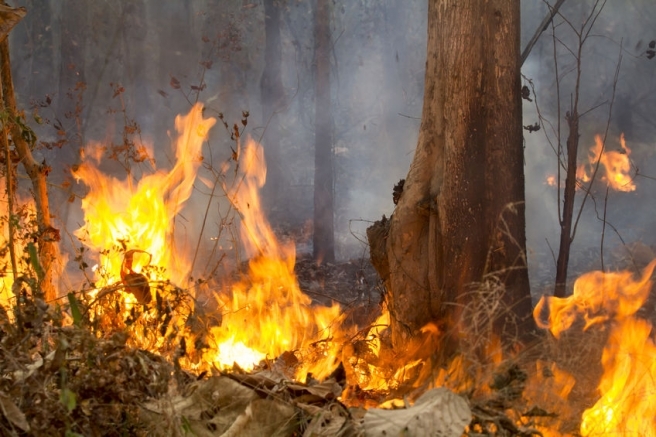 Wildfires kill almost 57 people annually, and cause economic damage totally over 2 Billion annually. As more and more people move into rural areas, more people and property are at risk from the dangers of wildfires. Once a wildfire starts in your area, you can't control it or prevent it from approaching your property. But you can plan in advance to minimize potential damage and injury. Review these wildfire safety tips. Remember to have your home insurance policy reviewed annually, call us today. · Make sure that fire vehicles can get to your home. Clearly mark all driveway entrances and display your name and address. · Know your risk. Do some research and learn how often wildfires occur in your area. Find out when there is the greatest risk and take wildfire safety precautions. · Follow local ordinances when burning yard waste. Avoid backyard burning in windy conditions. · Develop an evacuation plan for your employee and family that includes a pack with extra supplies. · Develop green spaces around your home. · Don’t store wood next to any buildings. · Plan escape routes away from your home - by car and by foot. · Keep roofs and gutters clean and free from debris. · Install non-combustible roofing and siding materials, such as metal, slate, or concrete. · Have a ladder that reaches your roof. · Make sure your street address is visible from the street. · Clear a 10-foot area around propane tanks and the barbecue. · Rake leaves, dead limbs and twigs. Clear all flammable vegetation. · Back as many vehicles as possible into the garage. Then close the door. In the event that you evacuate remember to close the garage door behind you as you leave. If you do not have a garage or if yours is full, park your vehicles heading in the direction of the evacuation route. · If advised to evacuate, do so immediately. · Place lawn sprinklers on the roof and near aboveground fuel tanks. Wetting the roof may help if it is shake-shingled. · Shut off natural gas, propane, or fuel oil supplies. · Take your Disaster Supplies Kit. Have backpacks for each family member. · Close all windows, vents, and doors to prevent a draft. Wedding Insurance - Do You Need It? Is there anything worse than planning and preparing for your wedding or special event only to have it canceled at the last minute due to weather, or some other unforeseen reason? Weddings are important and you want your event to go off without any issues. Wedding Insurance helps protect your special day and the planning days leading up to it. Wedding Insurance can help if you face a cancellation or postponement due to an unforeseen event such as illness, inclement weather or military deployment. Wedding Insurance will provide reimbursement for deposits forfeited and other charges paid or contracted to be paid by the insured. This can include transporting costs, catering services, property and equipment rentals, location rentals, accommodations (including travel arrangements and accommodations for a honeymoon if applicable), special equipment, flowers, event photographs, videos and/or entertainment expenses. For the bride and groom: as you celebrate the beginning of your lives together, Wedding Insurance can help protect your financial future if something beyond your control should go wrong. For the parents of the bride or groom: an investment in your child's wedding is an investment in their happiness. You want to protect their dreams of a perfect wedding – and your own financial security. If the unforeseen occurs, Wedding Insurance is there. We offer competitive rates on Home, Auto, RV, Motorcycles and more, call us about our special insurance discounts. · Most Flood policies have a mandatory 30-day waiting period which puts us at the beginning of April. This affects personal homes and commercial clients. · Flood insurance is not included under most home and business policies. · Water run off can be considered flooding. · Do you think you don’t need flood insurance because you don’t live along a river or stream? You might want to think again. Nobody is risk-free when it comes to flooding. In fact, 25% of all flood insurance claims occur in areas considered to be at “lower risk” for floods. · The average cost of property damage caused by a flood is $34,000, and it can take less than 1 foot of water to cause it. 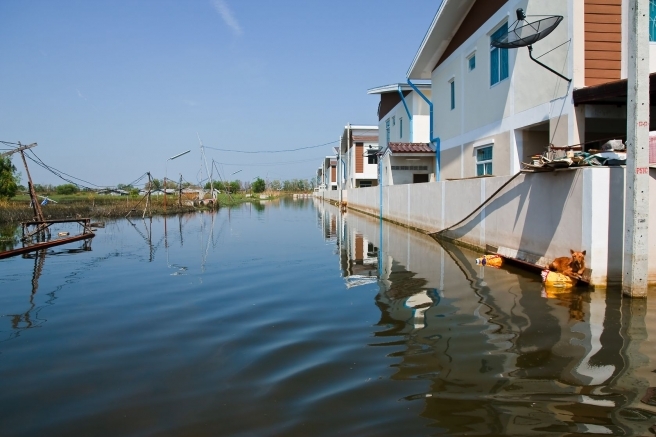 · Floods aren’t only caused by rising rivers or lakes. Flooding is also caused by levee or dam failures, or intentional releases, clogged storm drains, broken water mains, and even collapsed swimming pools! · Homeowners in “lower risk” areas can secure flood insurance for a very low cost. Call today for a free quote. Don’t wait for water to be in your house to think about flood insurance! With the rise of new technological advances, travel and communication has never been easier. Insurance also provides a safety net for our most prized possessions. Unfortunately, this new technology also makes it easier for thieves to procure and use our sensitive information against us. Here are some helpful tips that may be used to prevent home and auto theft. Something to consider if you have a GPS: don't put your home address in it. Put a nearby address (like a store or gas station) so you can still find your way home if you need to, but no one else would know where you live if your GPS were stolen. Someone had their car broken into while they were at a football game. Their car was parked on the green which was adjacent to the football stadium and specially allotted to football fans. Things stolen from the car included a garage door remote control, some money and a GPS which had been prominently mounted on the dashboard. When the victims got home, they found that their house had been ransacked and just about everything worth anything had been stolen. The thieves had used the GPS to guide them to the house. The thieves knew the owners were at the football game, they knew what time the game was scheduled to finish and so they knew how much time they had to clean out the house. Try not disclose the relationship between you and the people in your contact list. Avoid using names like Home, Honey, Hubby, Sweetheart, Dad, Mom, etc. Also, when sensitive info is being asked through texts, CONFIRM by calling back. When you’re being texted by friends or family to meet them somewhere, be sure to call back to confirm that the message came from them. If you don't reach them, be very careful about going places to meet 'family and friends' who text you. People who have surreptitiously acquired your cell phone may use it to text family or friends for sensitive information such as bank accounts or pin numbers to debit cards. Especially when leaving your car parked in long term parking, make sure to hide or lock your garage openers. Coupled with your GPS system, this could give thieves an easy access to your home and belongings. Also make sure to remove or lock up any personal documents, such as insurance information or registration as they may have your home address information as well. A couple parked in long-term parking on their way to the airport. Thieves broke into their vehicle, using the information on the car's registration in the glove compartment, they drove the car to the people's home in Pebble Beach and after using the garage opener, robbed it. There are many simple preventative measures we can employ to make sure that our belongings remain in our possession. Theft can happen in the most unexpected places, and the best way to prevent it is to stay one step ahead. 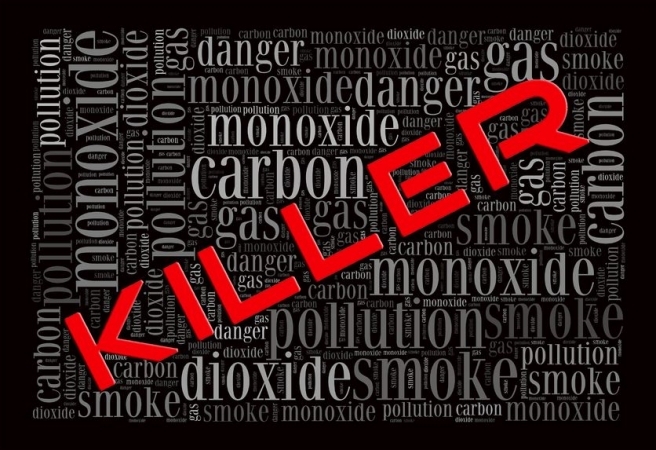 You can’t see or smell carbon monoxide (CO), but at high levels it can kill a person in minutes. That's why it's important to know how to prevent it, detect it, and protect yourself and your family from its effects. Your homeowners insurance can provide insurance protection for damage to your property, and injury to others. · CO alarms should be installed in a central location outside each sleeping area, on every level of the home, and in other locations where required by applicable laws, codes or standards. For the best protection, interconnect all CO alarms throughout the home; when one sounds, they all sound. · Follow the manufacturer’s instructions for placement and mounting height. · Choose a CO alarm that has the label of a recognized testing laboratory. · If the audible trouble signal sounds, check for low batteries. If the battery is low, replace it. If it still sounds, call the fire department. · If the CO alarm sounds, immediately move to a fresh air location outdoors or by an open window or door. Make sure everyone inside the home is accounted for. Call for help from a fresh air location and stay there until emergency personnel arrives. · If you need to warm a vehicle, remove it from the garage immediately after starting it. Do not run a vehicle or other fueled engine or motor indoors, even if the garage doors are open. Make sure the exhaust pipe of a running vehicle is not covered with snow. · During and after a snowstorm, make sure vents for the dryer, furnace, stove, and fireplace are clear of snow build-up. · A generator should be used in a well-ventilated location outdoors away from windows, doors and vent openings. · Gas or charcoal grills can produce CO — only use outside. According to the Centers for Disease Control (CDC) the most common symptoms of CO poisoning are headache, dizziness, weakness, nausea, vomiting, chest pain, and confusion. High levels of CO inhalation can cause loss of consciousness and death. Unless suspected, CO poisoning can be difficult to diagnose because the symptoms mimic other illnesses. People who are sleeping or intoxicated can die from CO poisoning before ever experiencing symptoms. Call us today for more information about how we can reduce your home and auto premiums.